. Published on January 3, 2011 . This cake by Anya Richardson is famous on the interwebs and you can see why! 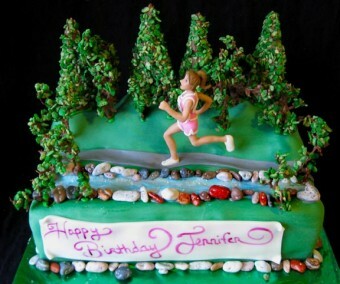 Check out this cute spot on cake by All About Cake. 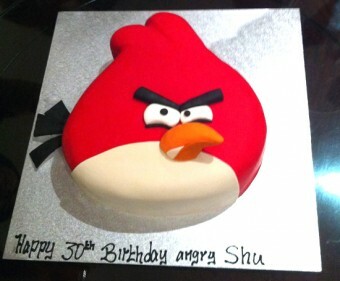 Everything about this cake screams angry birds!! Those are the most perfect piggies I have ever seen! This is a great 360 view from Troublebaker. 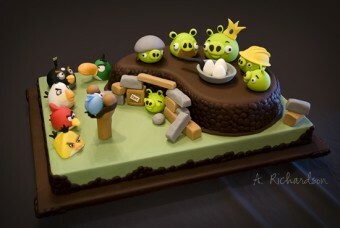 Really captures that angry birds action! 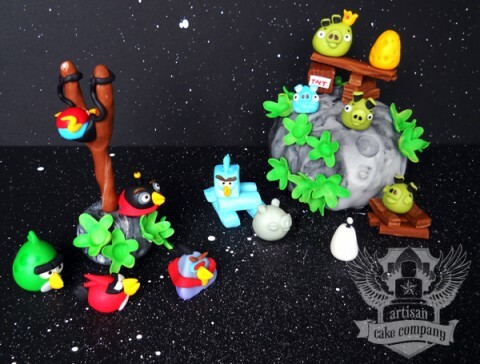 PSPmeet got the “angry birds” expression perfect! 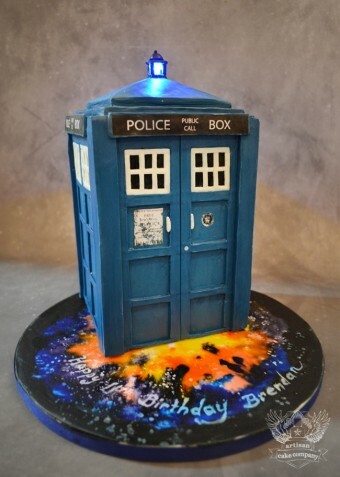 This all buttercream version from CitizenRob really proves that a cake doesn’t have to be fondant to be spectacular! 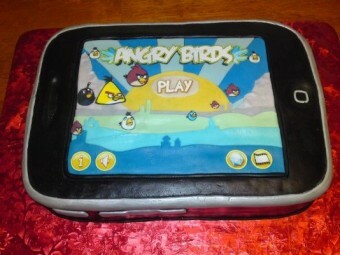 *note: These cake photos do not belong to me nor where created by me and I retain no copyright to angry birds or their affiliates. 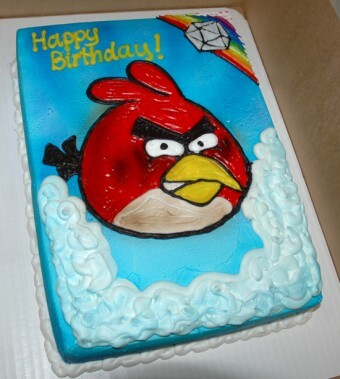 Really interested in one of ur cakes for my son 6th bday in december. 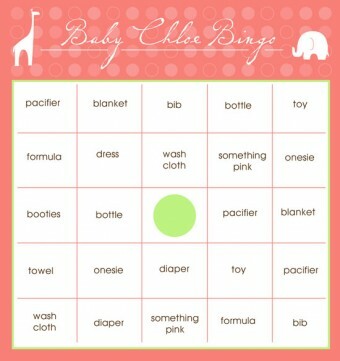 Please can u let me know :). i was wondering how much does your 1/2 sheets run? 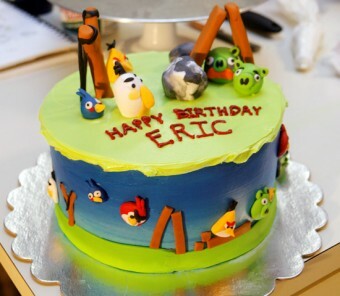 my sons birthday is this weekend and he LOVES angry birds and from what i see you have the best ones in town. if you could let me know a price on your cakes and where your located. please and thank you. 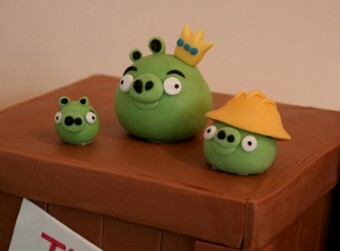 How can I get one of these cakes?! Where is the pricing? is it possible to ship with out damaging the cake? We are in Mich. Please let me know! Omg!!! 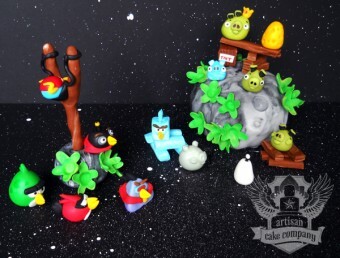 I just saw ur ETSY shop, after spending all day trying to do my own angry bird toppers…. Next time for sure! Can’t wait to see your creation! 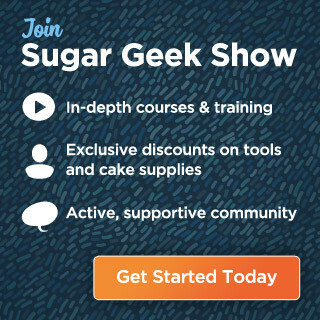 I’m making cupcakes for my son – as I can’t focus on a cake now. Thanks for the great piece! Working sling shot? Oh, I’ve been wanting your cakes to start moving. Maybe a walking Howl’s Moving Cake? I eagerly await the results of this experiment.